The 1982 World Cup may just have boasted more great teams, players and matches than any other since. Champions Italy, the brilliant France of Platini, Giresse and Tigana, and, of course, the magical Brazilian team; perhaps the greatest never to win a World Cup. There was also one particularly brattish, bushy-haired Argentine who wouldn’t yet conquer the world for another four years. 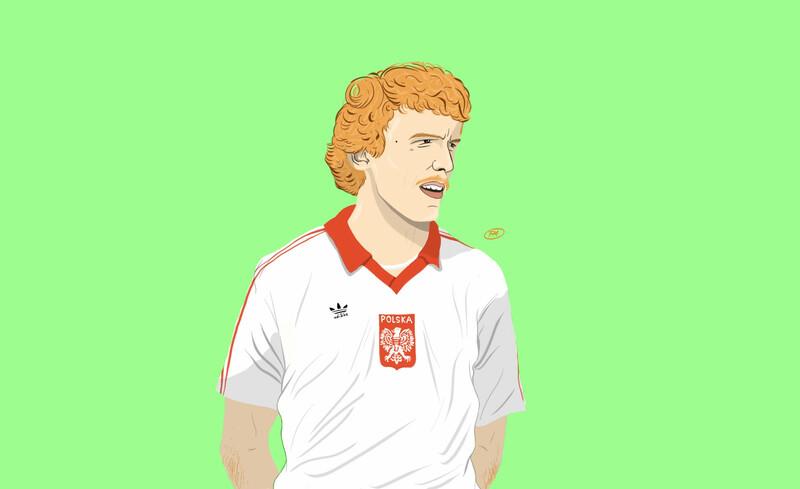 Often forgotten in the midst of the fun in the Spanish sun is perhaps Poland’s finest ever team along with the best and, until Robert Lewandowski came along, most famous player ever to don the red and white: Zbigniew Boniek. The attacking midfielder, blessed with scorching pace, had caught the eye as a 22-year-old at the 1978 World Cup, scoring twice in a 3-1 win over Mexico as Poland topped their group ahead of reigning champions West Germany. Most football fans, however, remember him for a superb hat-trick at the Camp Nou against Belgium four years later. The first was a thunderous shot into the roof of the net from Grzegorz Lato’s pull back. The second a looped header over the advancing Theo Custers. The third came from a move he started himself, on the halfway line, with a cross field pass to Włodzimierz Smolarek who worked the ball to Lato, who in turn slipped Boniek in. His quick feet saw him drift past the hapless Custers and Poland’s unstoppable number 20 caressed the ball into an empty net. Belgium, who has started the tournament with a win over Diego Maradona’s Argentina, were brought to their knees. Heartbreakingly for Boniek, an 88th-minute booking in the 0-0 draw with the USSR meant he missed the semi-final against Italy. Without their talisman, Poland had no answer for Paolo Rossi’s double. Despite the disappointment, Poland, with Boniek back in the team, won 3-2 against a France team even more desolate than themselves to claim an impressive third-place finish. It was Poland’s best World Cup performance and the outstanding Boniek made FIFA’s team of the tournament. At 26, after two seasons at Zawisza Bydgoszcz, followed by 50 league goals and two championship medals at Widzew Łódź, Boniek was ready for the big time and it soon arrived with a move to the most glamorous European team of the era, Giovanni Trapattoni’s Juventus. Dino Zoff, Antonio Cabrini, Gaetano Scirea, Claudio Gentile, Marco Tardelli and Paolo Rossi all returned to Turin in 1982 with World Cup winning medals draped around their necks. Awaiting them was arguably Europe’s finest player Michel Platini. With Boniek then added to the mix, the team was expected to sweep all before them. But, just as Real Madrid would discover two decades later with their Galácticos policy, teams are very often less than the sum of their parts and though Juventus won the 1983 Coppa Italia, they were forced to settle for second place in Serie A, finishing behind Roma. Then came the European Cup final against Hamburg at the Olympic Stadium in Athens. The world tuned in expecting a coronation; what they got was one of the most anti-climatic finals befitting an era full of anticlimactic finals. Felix Magath’s ninth minute goal was enough to give the West German club their first title, the sixth 1-0 European Cup final win in a row. Juventus’ galaxy of stars simply did not show up or shone too dimly to be noticed. The following season the chemistry grow and the pieces of the puzzle began to fall into place for the Old Lady of Italian football. With Boniek and Platini in superb form, Juventus won their 21st league title before claiming the Cup Winners’ Cup with a 2-1 victory over Porto in Basel; Boniek assuming the role of hero having provided the first half winner. In January of 1985, back the in freezing conditions of Basel, Boniek was once again his team’s match winner in the European Super Cup, scoring both goals in a 2-0 win over European Champions Liverpool. 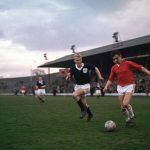 When the two teams met just months later, it would turn out to be one of football’s darkest days. Before the start of the 1985 European Cup final at the Heysel Stadium in Brussels, 39 Juventus fans died after crowd trouble involving Liverpool fans. 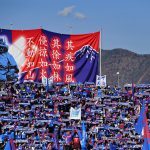 Incredibly, the match went ahead. Late in the first half, Boniek won the penalty which Platini converted to give Juventus their first ever European Cup. But what should have been the highlight of Boniek’s career had long since turned into a nightmare for all involved. The match would prove to be Boniek’s last in the black and white of Juventus and that summer he moved Roma. Though often the man for the big occasion, Boniek, curiously, had a very modest domestic goalscoring record. He only scored 14 league goals in his time at Juventus, 17 in his three seasons at Roma and 24 in 80 internationals. A Coppa Italia final win over Sampdoria gave the Pole his final career medal in 1986 before the summer played host to a disappointing Poland exit at the World Cup in Mexico, departing during the round of 16 after a 4-0 thrashing by Brazil. Boniek retired from football just two years later.